Vivo Company is trying to release frameless smartphones without cutouts under the cell-camera in all ways. In June, she introduced the Vivo NEX with a retractable camera, but by the end of the year had come up with an even more unusual way to create a frameless smartphone. The company simply removed the cellophane camera and installed the second display on the back panel so that the main camera could also play the role of the front. The novelty is called the Vivo NEX Dual Display Edition. The first Super AMOLED display with a 6.39-inch diagonal, a resolution of 2340 × 1080 pixels and a 19.5: 9 aspect ratio, occupies 91.63% of the front panel area. It is clearly intended for reading, playing games and watching videos. The second display with Super AMOLED matrix and 5.49 “diagonal is located at the back. It has a resolution of 1920 × 1080 pixels and a standard 16: 9 aspect ratio. An additional screen is required to view a frame when taking sephi shots, and also acts as an additional controller in mobile games. Above the additional display is a single camera with three modules. The main module takes off at 12 megapixels, has an aperture f / 1.79 and an optical stabilization system. The second module with 2 megapixels and the f / 1.8 aperture is used to blur the background on the portraits. The third 3D ToF camera is needed to recognize the owner’s identity and unlock the system. The camera is framed with a ring of Lunar Ring, which plays the role of an LED flash. Its upper part consists of 16 LEDs, and the bottom is shown on the display. If necessary, you can use the standard flash next to it. You can unlock a smartphone with a person only when using an additional display. If the user looks at the main display, it remains only to use the built-in fingerprint scanner. 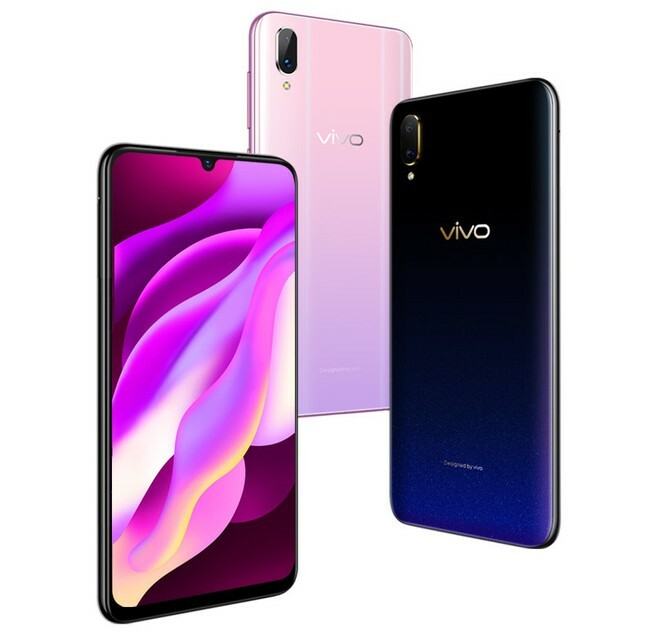 In terms of performance specifications in Vivo NEX everything is fine. It uses the Snapdragon 845 chipset, and the amount of RAM is as much as 10 GB. 128GB is available for storing files, but expansion of space is not possible – no microSD card slot. The battery holds 3500 mA of power and the operating system is Android 9.0 Pie with a shell of Funtouch OS 4.5. The price of the Vivo NEX Dual Display Edition is $ 720. China has already opened a pre-order, and the start of sales is scheduled for December 29th.